Tornady played probably the most intensive game of the season in Champigny. In the end Tornado didn't manage to score a single goal and Champigny took a 4-0 win (0-0, 1-0, 3-0). 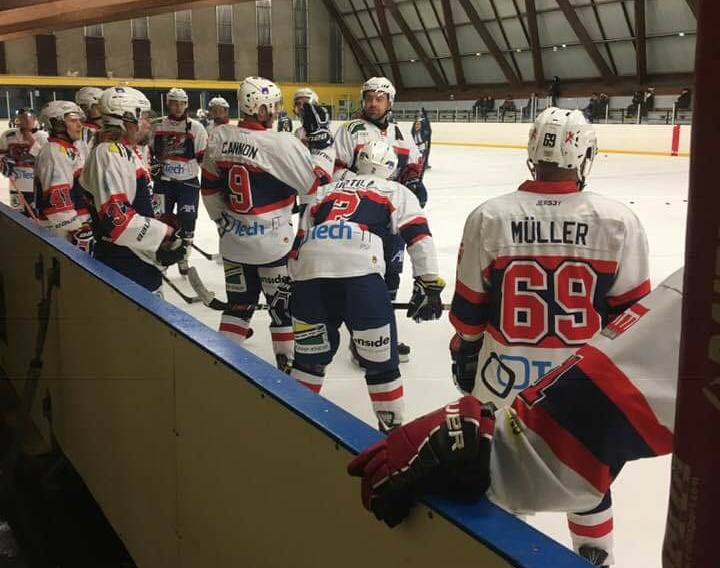 Champigny is, together with Tornado, the biggest team in group and they also like to skate hard with an aggressive forechecking. And that's how they started this game as well. High speed may make passing more difficult and that gave Tornados a chance for counter attacks which led also to some scoring chances but most of the shots ended up to the chest of Champigny's goal keeper. The first period ended 0-0 on the scoreboard which has been very rare in this league. In the beginning of the second period, Tornado was more ready. They kept the puck possession and managed to create some scoring chances. Champigny is known as a team who doesn't take so many goals against them and that was the case now as well. In the second half of the dperiod Tornado started to take penalties. Tornadoes managed to kill 2 of them but during the third, Champigny scored the first goal of the game two and half minute before the end of the second period. During the break coach Fical decided to tighten roster and Tornado started the third period with two lines. Colm Cannon gave one of his motivational speeches and the team seemed to be ready to fight for the win. Well, that wasn't enough as Champigny managed to score already in the first shift of the period and made Tornados' evening harder. This forced Tornado to play more offensive and take more risks while chasing goals. Those risk realized and Champigny managed to score two more goals in the period and 4-0 on the scoreboard means that the dream of the 2nd position in the group and the straight spot to the 2nd play off round is more or less smashed. It looks most probable that Tornado will be the 4th or 5th team in the group, depending on next weekend’s game in Kockelscheuer against ACBB. As high position as possible in the group is important the higher you are the lower positioned team from group D Tornado will meet in the 1st round of play offs. The hockey winter/spring keeps being interesting so join the excitement and come to cheer us next Saturday at 7pm. Written by Teemu Hinkula, 27/01/2019 11:45.